So what evidence did the FBI have against Hatfill? There was none, so the agency did a Hail Mary, importing two bloodhounds from California whose handlers claimed could sniff the scent of the killer on the anthrax-tainted letters. These dogs were shown to Hatfill, who promptly petted them. When the dogs responded favorably, their handlers told the FBI that they’d ‘alerted’ on Hatfill and that he must be the killer. The man the FBI decided was responsible for the anthrax killings killed himself as the FBI pursued him, but reports from the National Academy of Sciences and the Government Accountability Office were critical of the bureau’s scientific conclusions used to determine the man’s guilt. Special Agent Harp, who initially headed the anthrax investigation, conceded after Hatfill sued the government in August 2003 that the FBI had been sensitive to accusations that it had stumbled in other high-profile investigations, and that it had consciously sought to assure the public that it was working hard to crack the anthrax murders. Part of providing such assurance involved actively communicating with news reporters. Questioned under oath, Harp admitted to serving as a confidential source for more than a dozen journalists during the case, but he insisted that he had never leaked privileged information about Hatfill, or anyone else for that matter. Hatfill’s attorney’s found the latter claim highly improbable. 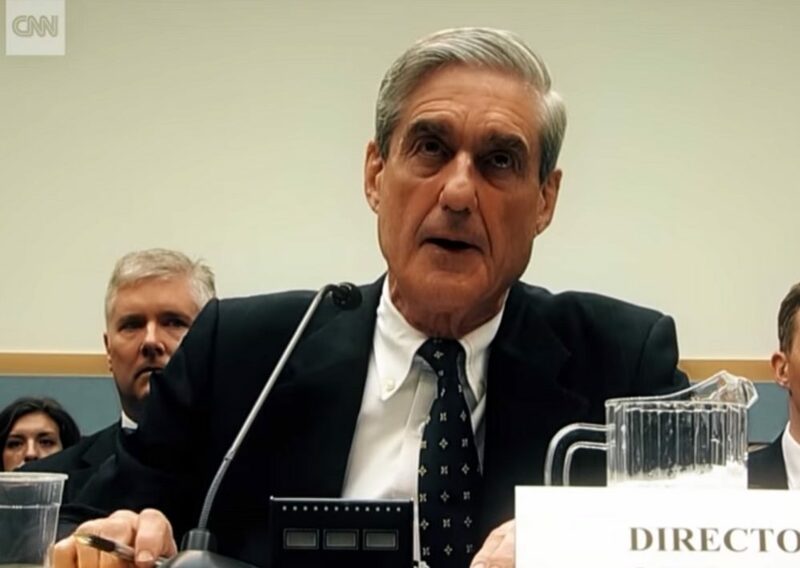 As aggressive as Mueller can be about pursuing the wrong man, he showed surprising leniency and laxity when it came to the case of Samuel “Sandy” Berger, a Clinton White House national security adviser. In the run-up to testifying before the 9/11 Commission that sought to examine the failures that led to those terrorist attacks, Berger visited the National Archives to review classified documents with his notes on them. But instead he intentionally removed and destroyed multiple copies of a classified document the commission should have reviewed for national security purposes, and lied to investigators about it. He was found to have stuffed the documents in his socks and otherwise hidden them. His punishment was that he was allowed to plead guilty in 2005 to a single misdemeanor. He served no jail time but had to give up his security clearance for three years. As lax and lenient as the Department of Justice was with Berger, the opposite was true in other cases. After Valerie Plame’s identity as a CIA employee was leaked, a special counsel operation was set up to investigate the leak. Mueller’s deputy Comey pressured John Ashcroft to recuse himself from the case on the grounds he had potential conflicts of interest. Comey named Patrick Fitzgerald, his close personal friend and godfather to one of his children, to the role of special counsel. Mueller, Comey, and Fitzgerald all knew the whole time that Deputy Secretary of State Richard Armitage was the leaker. Yet they set things up so Fitzgerald would aggressively investigate the Bush administration for three years, jailed a journalist for not giving up a source, and pursued both Karl Rove and Scooter Libby. Comey even expanded the investigation’s mandate within weeks of setting up the special counsel. Libby, who was pardoned by President Trump last week, was rung up on a process charge in part thanks to prosecutorial abuse by Fitzgerald. Fitzgerald encouraged a witness to give false testimony by not providing exonerating evidence to her and Libby’s attorneys. The Wall Street Journal and Commentary have write-ups on the saga. In 2016, the FBI kept getting involved in the presidential election. Political considerations rather obviously played a role in Comey showing deference to Clinton in July 2016 in the investigation into her mishandling of classified information. Political considerations also played a role — he says subconsciously — in Comey’s decision to announce a probe into Clinton’s mishandling of classified information had been reopened shortly before the election. It wasn’t the first time the FBI meddled in a U.S. election. In 2008, Sen. Ted Stevens, R-Alaska, was indicted by a federal grand jury following a lengthy investigation by the FBI and found guilty eight days before Election Day. Stevens narrowly lost his re-election bid as a result and died in a plane crash a couple of years later. Another black mark on Mueller’s record at the FBI was the pursuit of what the bureau dramatically claimed was an Israeli spy ring operating out of the Pentagon. The news broke in August 2004 that a spy working for Israel was in the Department of Defense. It turned out that the bureau had gone after a policy analyst who had chatted with American lobbyists at the American Israel Public Affairs Committee (AIPAC). Charges were also pursued against two AIPAC employees. Those charges were later dropped and the sentence of the first person was dropped from 13 years to 10 months of house arrest and some community service. The conspiracy case against two former AIPAC lobbyists came to an inglorious end in May when the government dropped all charges after 3 1/2 years of pre-trial maneuvers. It was a curious case: First, the lobbyists, Steve Rosen and Keith Weissman, were charged under an obscure section of the Espionage Act of 1917, a law that had been used only once before — unsuccessfully and never against private citizens for disclosing classified information. Second, they were targets of a bizarre sting in which they were fed false information suggesting that the lives of U.S. and Israeli operatives in Iraq were at risk and that American officials were refusing to take steps to protect them. The accusation was not that they brokered this information to some foreign enemy but that they offered it to everybody they could, hoping, among other things, to get a reporter from The Post to publish it so that it might draw the attention of the right U.S. officials and save U.S. lives. In short, even if the two were guilty as charged, they look more like whistle-blowers than spies. It turned out the probe was led by David Szady, the same man who notoriously missed Russian spy Robert Hanssen in his midst while he spent years targeting an innocent man named Brian Kelley, an undercover officer at the CIA. For this good work, Mueller named him assistant director for counterintelligence. Many of these examples of prosecutorial misconduct and abuse were done not by Mueller but by underlings. He should have been aware of what they were doing, which means he should take responsibility for the errors. If he wasn’t aware, that’s a very bad sign regarding his competence to supervise his special counsel deputy Andrew Weissman. If Mueller had no effective supervision against the abuses of the above underlings, why would anyone trust him to supervise his good buddy Weissman, whom he picked to run lead on his probe of Trump? Weissman destroyed the accounting firm Arthur Anderson LLP, which once had 85,000 employees. Thanks to prosecutorial abuse, jurors were not told that Arthur Anderson didn’t have criminal intent when it shredded documents. The Supreme Court unanimously overturned the conviction, but it was too late to save the company. Weissman also “creatively criminalized a business transaction between Merrill Lynch and Enron,” which sent four executives to jail. Weissman concocted unprecedented charges and did not allow the executives to get bail, causing massive disruption to the families before the Fifth Circuit Court of Appeals reversed most of Weissman’s case. One could also argue that the above failures, save the Stevens case, were actually Comey’s responsibility. That’s arguably true as well, but it also shows just how bizarre it is that Mueller was named to investigate a situation in which his friend and partner in prosecutorial abuse is so intimately involved. The media scoff in feigned outrage at President Trump’s claims that the FBI has a reputation that is in tatters. But the last 15 years of leadership of the FBI under Mueller and Comey have largely shown that to be true because of how the FBI handles it cases. In recent months, the FBI lost a high-profile case against Omar Mateen’s widow Noor Salman, who was charged with material support of ISIS and lying to the FBI about it. The case was an absolute mess. The jury foreman said, “I wish that the FBI had recorded their interviews with Ms. Salman as there were several significant inconsistencies with the written summaries of her statements.” The jury felt that the widow had been bullied into signing a false confession. On the day after the Pulse shooting, Comey promised the bureau would provide transparency as the case was handled. Almost immediately, the claim of transparency was shown to be false when the FBI redacted the killer’s statements about his Islamist terrorism beliefs in a transcript of his calls with Orlando 911. The bureau was also less than transparent about the fact that Mateen’s father was a long-time FBI informant. James Bovard has much more. The judge listed six types of evidence that she said prosecutors deliberately withheld before trial, including information about the presence of an FBI surveillance camera on a hill overlooking the Bundy ranch and documents about U.S. Bureau of Land Management snipers outside the ranch…. ‘The failure to turn over such evidence violates due process,” the judge said….. Yesterday, Comey told Meghan McCain on The View, “Public confidence in the FBI is its bedrock.” That’s true. And the lack of confidence in the FBI is not the result of Trump and his insults but a pattern of abuse of prosecutorial discretion going back 15 years or so. Mueller is responsible for 10 years of that. The denizens of DC no doubt have had great interactions with Mueller and the men he put in charge of high-profile cases. But those who were wronged in the Anthrax, Libby, AIPAC, Enron, and other cases might have a different view. Those who observe how differing rules have been applied to people in seemingly partisan fashion should not be dismissed. The media should not be so quick to gloss over these mistakes solely because of anti-Trump animus. Journalists who take their role seriously should be skeptical of powerful government institutions and how they can abuse their authority.